Earlier today, Queensberry Promotions announced that undefeated Welshman Craig Evans (13-0, 3KO) will fight for the British and Commonwealth super-featherweight titles in 2015. Hall of Fame promoter Frank Warren was holding a press conference in London to announce his next show at the O2 Arena in Greenwich. In Evans’ first 12 round fight, the southpaw from Blackwood will face a fellow undefeated fighter, Norfolk’s champion Liam Walsh (17-0, 11KO). The show will be broadcast on BoxNation (Sky Ch. 437, Virgin Ch. 546) and held on February 28th, giving Evans just under ten weeks to prepare for the biggest test of his career. 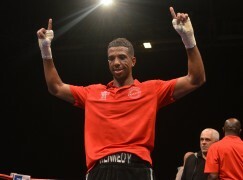 25-year-old Evans, who is trained by Tony Borg in Newport, earned the opportunity by scoring the best win of his career a month ago, a wide ten round decision over Scotland’s Ronnie Clark. In Evans’ only other contest this year, he out-pointed France’s game Dame Seck in May. Walsh won the vacant Lord Lonsdale belt three weeks ago by dropping and then defeating Dewbury’s former champion Gary Sykes on points, courtesy of a Unanimous Decision. The switch-hitter has held the Commonwealth title since 2010 and was once matched with then WBO world champion Ricky Burns, only to be ruled out by injury after a car accident. 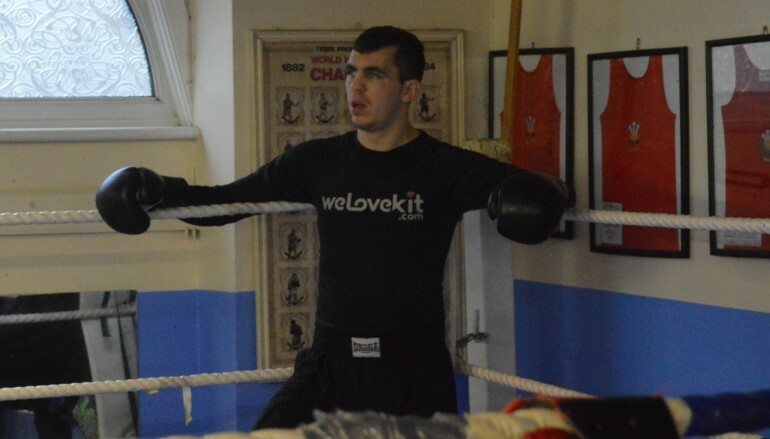 Evans will now aim to become the second 130lb fighter from St Joseph’s Boxing Club to win a British title in two years, as stablemate Gary Buckland held the domestic championship until August 2013. The fight will mark a significant step up in class for Evans but it’s one he’s been after for a while, having been professional for over four years after a successful international amateur career.